"THIS HOME HAS IT ALL! 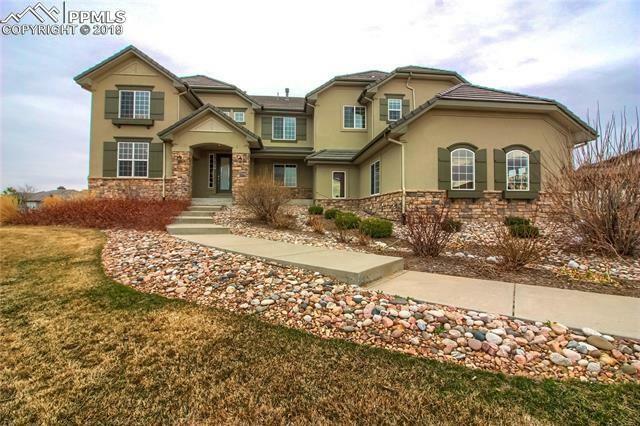 Great entertaining home w/5 bedrooms, 6 bathrooms, 2 offices on the main level; main floor master bedroom w/sitting area, jetted tub; large walk-in shower with double glass doors and walk-in closet; doors out to front deck w/views; City and mountain views; 4 car attached garage w/boiler that heats driveway; game room/pool table area;"
"Almost brand new custom luxury home located in the desirable Pinon Soleil neighborhood. 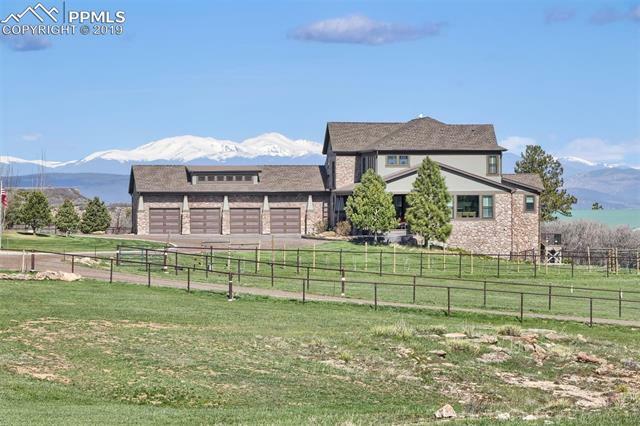 Nestled among the ponderosa pines and situated on a spacious one acre lot with outstanding mountain views. Within walking distance to town, but feels like you are in the mountains. Access the impressive front entrance through the courtyard. Once inside you are greeted by soaring ceilings and windows that capture all the natural light and beauty of its surroundings. The family room features a stone wall and c"
"VIEWS, VIEWS, VIEWS!!! Elegant and immaculate walk-out ranch home with picturesque mountain views from every window and nestled on a quiet culdesac location; Prof landscaping w/mature pine trees; security system; custom concrete tile roof; electronic exterior shades covering Great room windows; Open floor plan; Vaulted ceilings; Brazilian Cherry hardwood flooring and cabinetry; Architecture features custom art niches and luxurious hardware along w/rod iron railings; Main floor master bedroom w/"
"Located in the community of Crystal Valley Ranch in Douglas County this stunning custom estate is situated on almost a half-acre lot with captivating mountain views. Once inside you are greeted with expansive Pella windows, and sliding doors, that capture all the natural light and beauty of its surroundings. The vaulted great room features a stone wall with a custom gas fireplace that features built-in shelves, hardwood floors, a beamed ceiling and a walk-out to the covered composite deck." 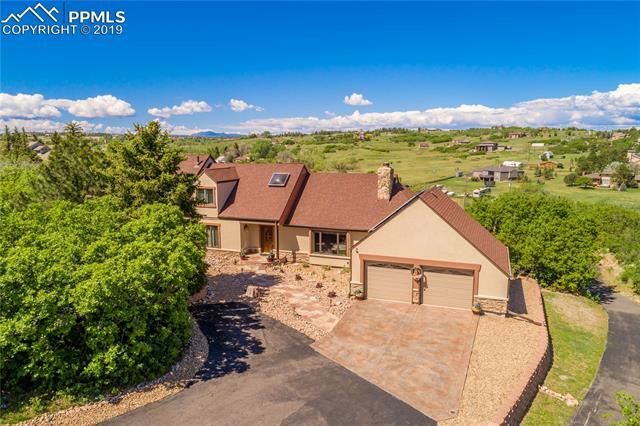 "Rare opportunity to own horse property with a beautifully upgraded house, on 2.424 acres, w/ a large garage/barn & just a few minutes from light rail, I-25, shopping & schools! Buy in Surrey Ridge and enjoy the tranquility of country-like living while being right in town. Main Floor Master Suite features a spacious 5 piece bathroom w/ jetted tub, a retreat/office sharing a doublesided fireplace, & a huge walk in California Closet. New Pella windows. Plantation shutters. 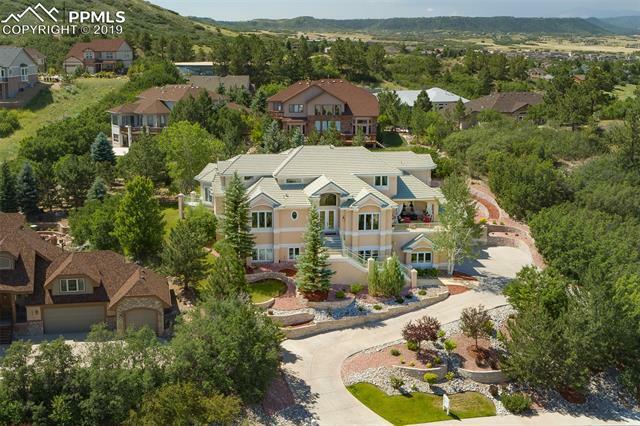 Fully finished walkout b"
"This Magical Home is nestled in what some like to call the Hidden Gem of Beautiful Escavera. 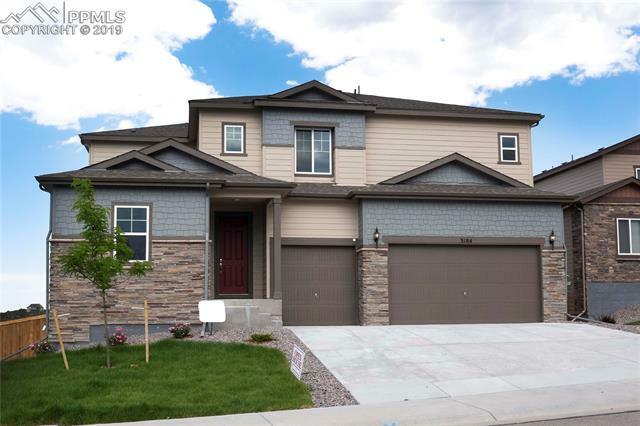 This beautiful home was just remodeled with the addition of a main floor full guest bath, additional main floor bedroom, new stacked stone fireplace and beautiful brand new carpet! It's true pride in ownership! 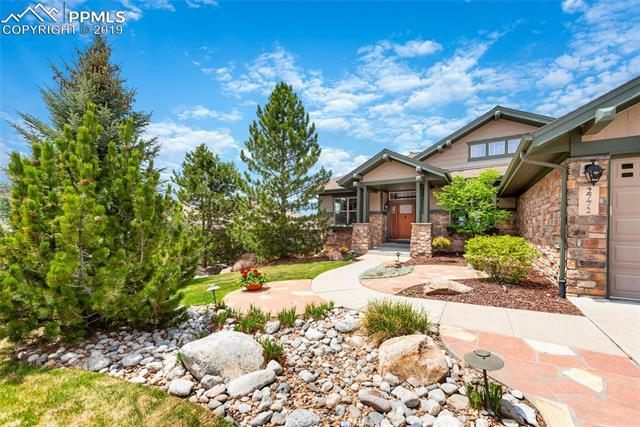 A gorgeous treed setting offers amazing privacy in a private cut-de-sac. 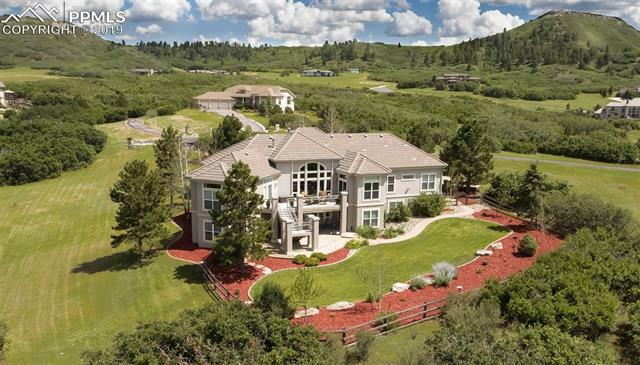 This custom home will have you in awe! The great room frames the most spectacular mountain views! You feel as if you are se"
"On almost 1 acre, Formal Living Room, Office, Formal Dining Room * Large Kitchen with Cherry Cabinets with Wine Rack & China Cabinet, Double Oven, Island, Granite, Walk-in Pantry*Two Staircases to Upstairs, Oversized Master Suite, Large Bedrooms all have private baths, Bedroom #4 Separated by Bridge* Unfinished Basement Ready for your creativity* 4 Car Garage is 1,064 sq ft, Water Purification, Yard with Large Concrete Patio, Water Feature, Putting Green, Children's Play Set, Much Much More"
"Stunning views! Backs to open space! High End fine finishes and thoughtful layout make this a sophisticated home. Master suite with sitting room or library, five-piece bath, and a guest suite complete with bath. Windows UV protection for privacy and energy efficiency. Butler's pantry, GE stainless appliances, Quartz counter tops, and built-in wine rack. Walk-out basement with large windows gives you the same spectacular view. Wet bar includes appliances, leather granite counters, and wood plank "
"Wonderful Cul de Sac home, Loaded with Upgrades + 3 Car garage! 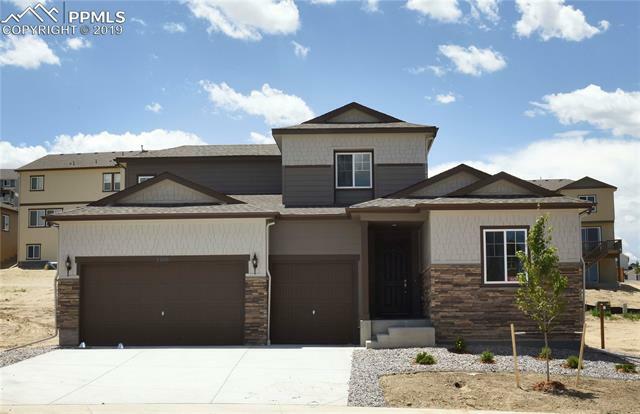 4 Bedrooms and 5 bathrooms plus a large main floor office! 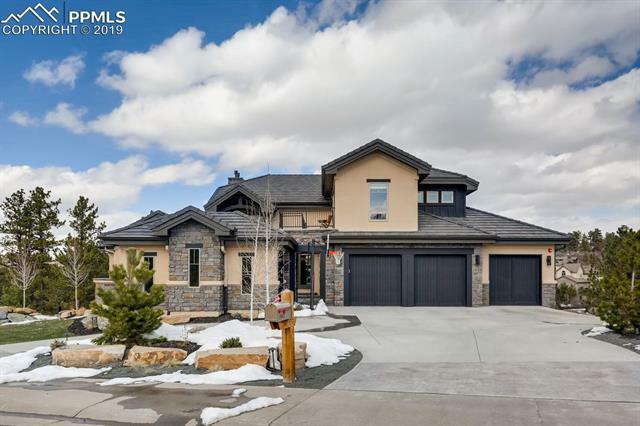 Spacious main living area with Vaulted Ceilings, Large Stone fireplace, Open to the kitchen that features Custom Cabinets, Premium Granite Counters and Stainless Steel appliances. Beautiful Hardwood floors throughout the main level and custom Plantation shutters." 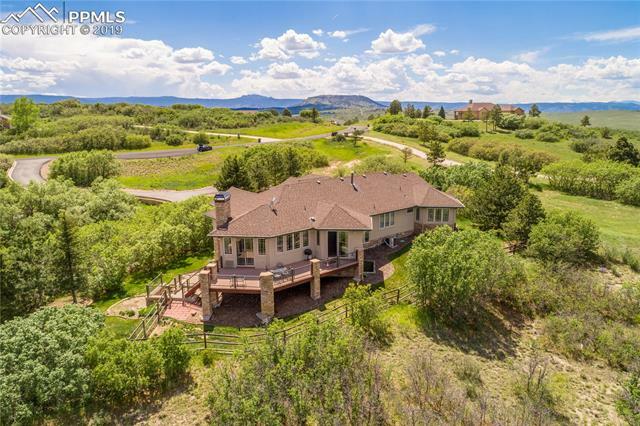 "Gorgeous Castle Pines Village Home! Highly sought-after Village Lakes maintenance free patio home that is a true lock and leave one level living residence! Gourmet kitchen with a gas cook top, and over 3,500 Sqft. Unparalleled private & quiet setting on a corner lot to a cul-de-sac. Top notch finishes and two private outdoor spaces. Ideal entertainers floor plan with a bar area and a butler s pantry. True one level living, perfect forever home!" 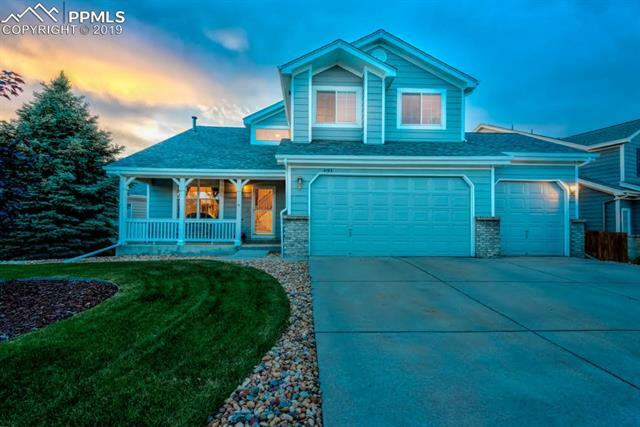 "Beautiful Ranch style home with finished basement in prestigious Soaring Eagle Estates in The Meadows! Located on a premium lot, this house sits on almost 1/2 acre of professional landscape w/ lots of shade and privacy, and features a large deck, pergola, lights, stone columns & a gas line. 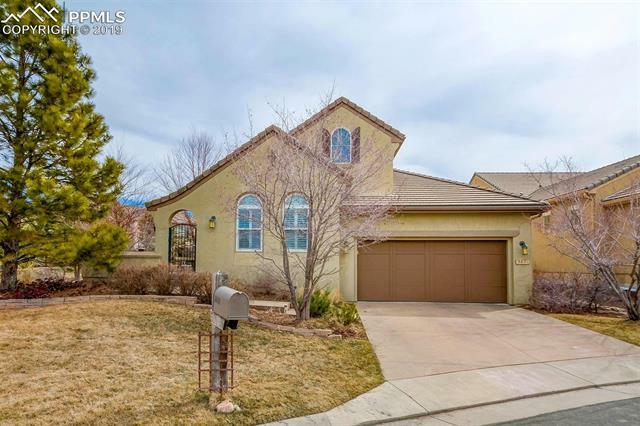 Spacious main floor living is centered around the kitchen, w/ double oven/convection oven, gas cooktop, granite counters, pantry, eat in area, and more. Enjoy the art niches and fireplace in the family room"
"Fantastic value in The Village at Castle Pines. This beautiful home built by Joyce Homes boasts a spacious private courtyard as you enter and are welcomed by the rotunda with leaded glass detail. The open layout is an entertainer's dream with semi-circular bar and wine storage just off the formal dining area. The spacious living room opens into a large kitchen with separate eating area and outdoor access. The master suite is complete with 5-piece bathroom, double vanities & walk-in closets." 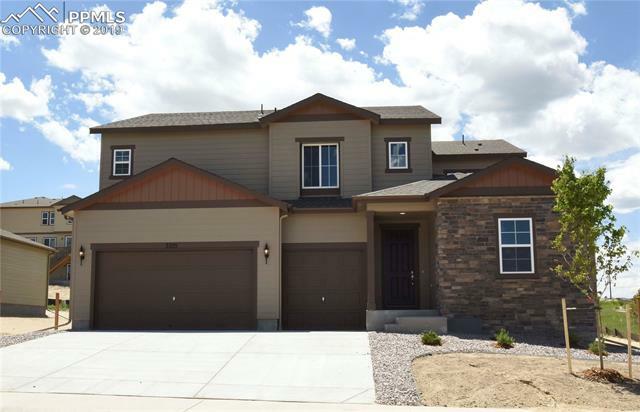 "This Brand New 4 Bedroom Home with Study, Loft, 3 Car Garage, and Super Great Room (including fireplace) sits on an oversized corner lot. Gourmet Kitchen with separate Dining Room"
"Brand New spacious 4 bedroom home with main floor master suite/master bath. Separate in-law suite including full bath on main level. Main floor dining and powder bath. 2 bedrooms, loft, and full bath on upper level. Covered patio, 3 car garage, and vaulted ceiling in great room (with fireplace). Full unfinished basement with 9' ceilings. Gourmet kitchen." "This gorgeous updated ranch is elegant yet comfortable! Come see it and find gleaming hardwood floors; a beautifully updated kitchen with newer granite countertops and stainless-steel appliances; high ceilings throughout; updated bathrooms, with granite countertops; professionally finished basement, with tons of storage; a heated, drywalled and insulated 3-car garage; professional landscaping that blooms from spring through fall; and so much more!" 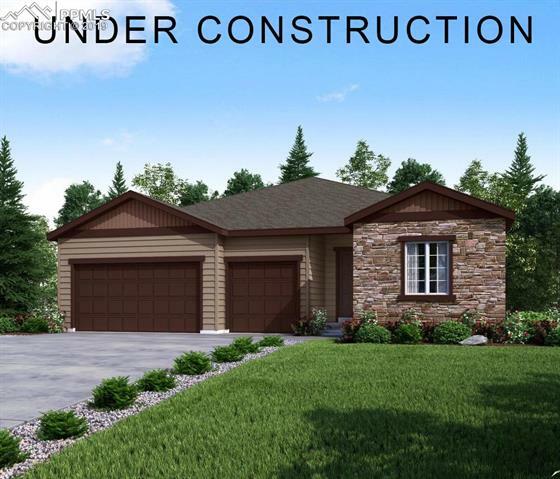 "Brand New 4 bedroom/3 bath Ranch floor-plan with upgraded gourmet kitchen and walk-in pantry. Study, covered patio, 3 Car Garage, and oversized great room (with fireplace). Full unfinished basement with 9' ceilings." 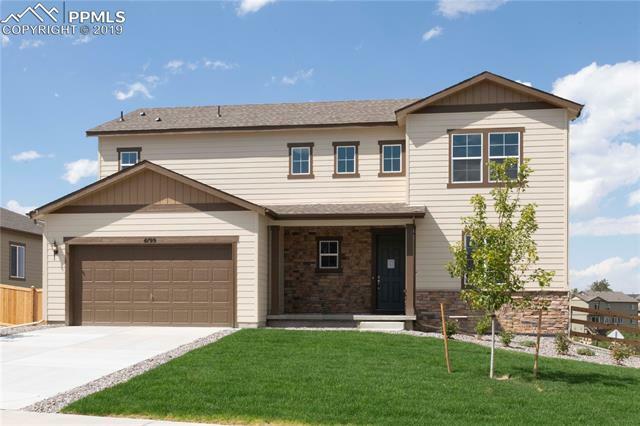 "This brand-new 3 bedroom home has an open floor plan complete with study, great room (including fireplace), loft and gourmet kitchen with dining area. Situated on an oversized corner lot on cul-de-sac street. Full unfinished basement with 9' ceilings." "Fabulous views and location! This immaculately maintained single owner home has 5 beds 3 1/2 baths, with 3 bedrooms on the upper level next to a loft/office open to below. Great Space and floor plan, open kitchen and family room with a gas fireplace, lots of windows and light! 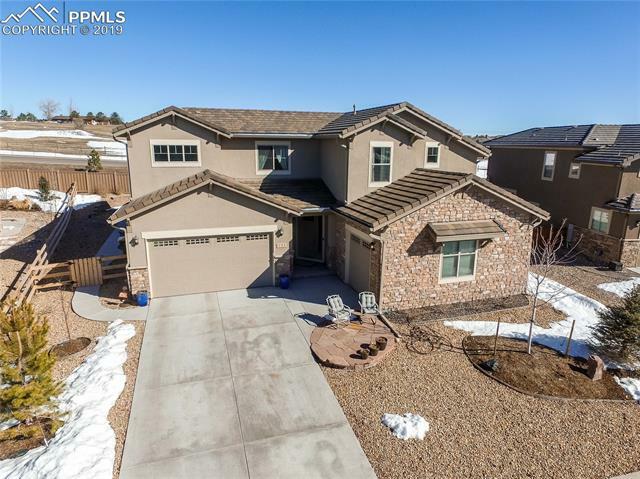 The fully finished walkout basement, with custom concrete patio, also has a gas fireplace, custom entertainment center, wet bar, two bedrooms and a full bath. 2nd bedroom is currently used as a workout room/Yoga studio."